Residents in Westminster, CO, enjoy wide-open spaces, suburban areas, outdoor trails, and good recreation facilities. The city of Westminster also has an active forestry program to maintain 14,000 trees on the more than 3,000 acres of open space. 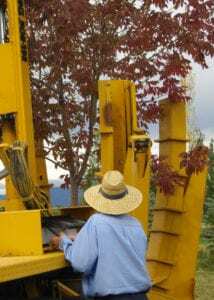 For new home building projects, residential remodels, and other building programs in Westminster, be an environmentally responsible citizen and consider tree moving for your mature and historically valuable trees! Gone are the days where you have to cut down a tree that is in the way of a home renovation. No longer do you have to remove a tree that is in the way of a new driveway you need or that is blocking a view. Why destroy a tree that provides shade, improves the environment, and has taken many years to get established? If you’re considering cutting down a tree, you need Tree Taxi. We offer the best local tree moving in Westminster, CO, and more than 20 years experience to get the job done right. While it isn’t easy to move a tree, the benefits are worth it! We can work with you to determine what is possible, how the job will be completed and will give you a reliable quote for the work. We’ll work with you to identify the tree type, the tree diameter, where the tree is located, and what other structures are around the tree. Our best-practice approach will determine the soil type and prepare for the best time to move your tree. 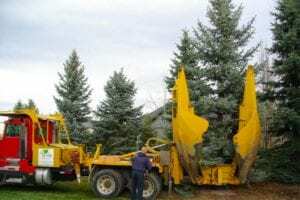 Contact us – we have more than 20 years of tree moving in Westminster, CO!